Indian troops deployed in the drastic terrains of the cold desert in Leh may look forward to get a new item in their menu, as the defense researchers find that Soma (Rumex patientia), a common plant found in high altitudes, can be used as a vegetable. According to researchers at the Defence Institute of High Altitude Research (DIHAR), a division of the Defence Research and Development Organisation ( DRDO), Soma is fit to be used as a vegetable in cold desert areas where cultivation of common vegetables are not supported. 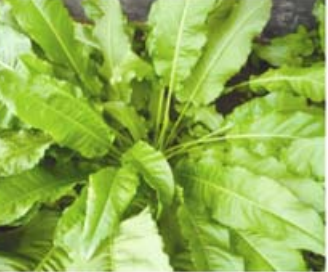 According to a research correspondence published by DIHAR researchers in Current Science Journal, the leaves of the plant is rich with protein, fats, oil, crude fiber and carbohydrate which makes it a fit as spinach for common people and military personnel in the cold deserts areas like Leh and parts of Himachal Pradesh. “It (the plant) has the potential to meet the green leafy vegetable requirement of local people and troops deployed in Ladakh. It may also contribute towards development of products for helping in acclimatization and improved performance of especially the low-landers under high-altitude cold desert conditions.”, says the correspondence. Soma plant is more productive than actual spinach, says the correspondence. “It grows fast and produces more biomass in a short period than spinach even in stony, sandy and less fertile soils”, it says. Unlike the dietary benefits, the medicinal properties of the plant are rather known for years. It is used in traditional medicine systems as well. According to the researchers, the roots of the plant were used for the treatment of variety of ailments like pain, inflammation, bleeding, ringworm infection, tumour and constipation in Chinese folk medicine. Practitioners of Tibetan traditional medicine also utilize the plant for medicinal purpose. Several chemical compounds found in the leaves are the reason for the medicinal property, says the correspondence. The researchers claim that planting soma will be beneficial to the environment also since it fights soil erosion and desertification. “It is beneficial for soil and water conservation, protects desertification and contributes towards land reclamation in the fragile cold arid ecosystem of Ladakh”, says the correspondence. While the plant is capable of surviving extreme temperatures, it can grow in arid, water logging conditions also. During April and August, about 300 to 900 grams of leaves can be collected in 7 to 8 pickings from an average plant, according to the researchers. The research correspondence also calls for mass cultivation of the plant in the cold desert areas. During the study, the researchers have collected 40 seed samples of the plant and has preserved in the National Permafrost Facility at DIHAR. Narendra Singh, J. S. Arya, S. B. Maurya, R. B. Srivastava of Defence Institute of High Altitude Research, Leh-Ladakh have co-authored the correspondence. Thanks for the comment. Happy to know that you have liked our blog. We think it is the need of the hour to make the message of biodiversity conservation reach people in as many ways as possible. Our initiative is a humble attempt in that direction. It is the support from people like you that help us continue our efforts. Feel free to tell us your suggestions and comments in future too. Thank you for this great initiative.and thank you for introducing us to this biological marvels. Thanks for the comment. Glad to know that you liked our blog. That's a great piece of knowledge...specially for all those who lives in extreme areas...as well as supporting the cause of various disasters...!!! We believe that the food security of the future generations depends on the conservation and sustainable use of the biodiversity of our mother earth. In that perspective, such discoveries are very important. is this Soma the one from which ancients used to generate Somras??? interesting..